Océ VarioPrint DP 110, 120, 135 | Welcome to JJ Bender! 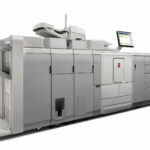 The Océ VarioPRINT 135/120/110 series of monochrome digital presses pairs Océ DirectPress technology and PRISMA sync operations management with Canon in-line finishing for a unified solution that pushes print productivity to a higher level. Also known as the Océ VarioPRINT DP Line, these models are based on the Océ DirectPress technology, an exceptionally stable imaging technology that removes variables that can negatively affect print quality and consistency. 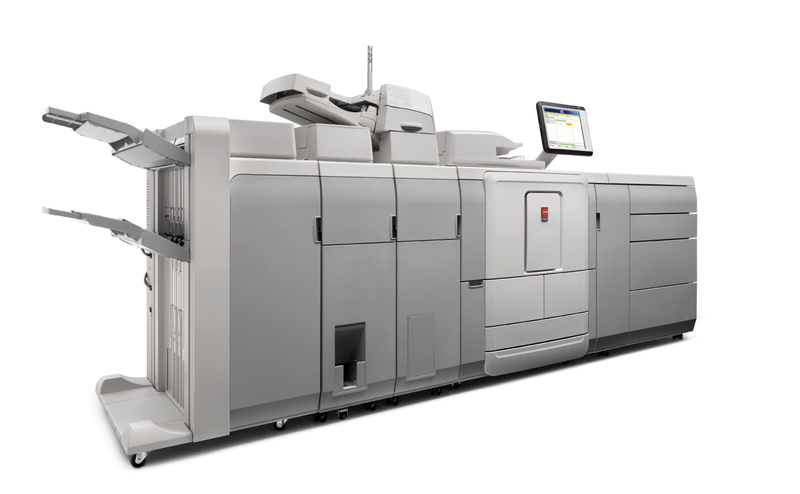 Combine the DirectPress technology of the Océ VarioPRINT 135/120/110 with Canon in-line finishing for an end-to-end solution for image consistency, intuitive operation, system configurability, and performance uptime. It helps to reduce costs, decrease environmental footprint, and expand your capabilities and business opportunities. It simply redefines excellence in black-and-white production printing. The Océ VarioPRINT DP135, with print speed up to 135ppm, redesigns excellence in B&W printing. It’s based on the unique new Océ DirectPress technology, a highly stable technology that prints consistently high-quality images on a wide range of media. The Océ VarioPRINT DP120 has a speed of 120ppm and prints at 600dpi resolution, utilizing PCL and PostScript printing. The DP 120, as well as 110 and 135, are heavyweights, made of steel with few plastic parts. Océ machines are built for the most demanding users in the production area, not for casual users. The Océ VarioPRINT DP110 offers highly productive speeds and automatically adjusts operational requirements to deal with different media weights. 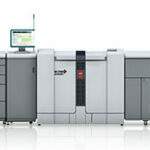 As a result you can expect dependable system performance and high print quality under all conditions. Max Paper: 12.6" x 19.2"